Journey Oilfield Equipment LLC is a leading provider of rental equipment, water line, roustabout, plastic liner/environmental containment and a variety of other oilfield services. We offer auxiliary services by some of the most skilled employees in the industry to complement our products. Journey was founded as a way to provide a higher level of service to our clients. We hope that you will choose Journey as your all-in-one oilfield equipment and service provider, and we would be happy to answer your questions by phone, email or in person. 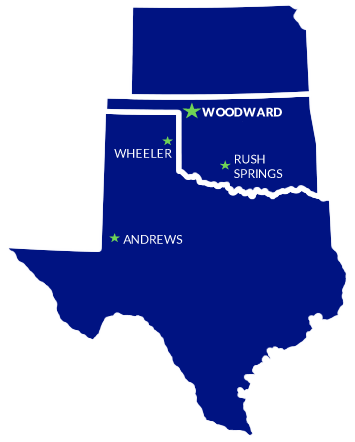 We have several locations across Oklahoma and Texas. Journey Oilfield Equipment offers a wide variety of equipment.